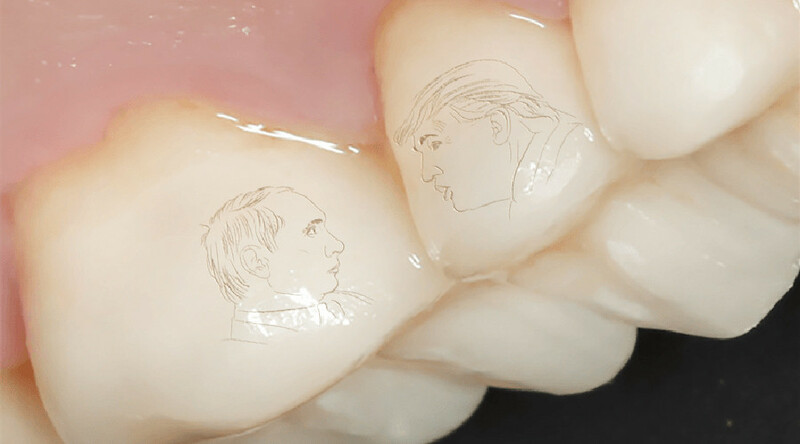 Porcelain dental crowns featuring images of both Russian and American presidents now adorn the teeth of a Russian man, after having been custom-made by a dental clinic in the southern city of Sochi. A dental patient, who preferred to remain unidentified, has asked his dentist to add a little detail or two to his new porcelain smile. As a result, he now has both Putin and Trump in his mouth, intricately drawn by an artist on the surface of his upper teeth. Each leader's side face cost the patient about €1,000 ($1,070), the doctor in Russia's Black Sea resort of Sochi has revealed, while saying they will last at least 40 years, if not a lifetime. 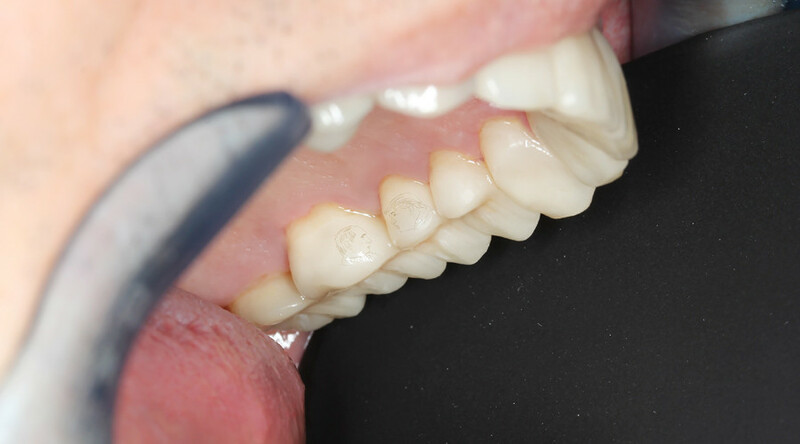 It's not the first time he's asked to add something special on porcelain dental crowns, the dentist said, but added that it's often patient's initials or his own signature that's being drawn on artificial teeth. The patient has told Russia's Life.ru tabloid that he "respects [Putin and Trump]" and hopes to soon see sanctions against Moscow softened. "This will make my business easier," he said, without specifying what he does for a living that allows him to splurge on such dental adornments. Hopefully, results of the first telephone conversation between presidents Trump and Putin, which they will hold on Saturday, will not make the man clench his new teeth.